Join us harbour-side to celebrate and catch up with friends and colleagues for the festive season. Share platters provided; purchase your own drinks. 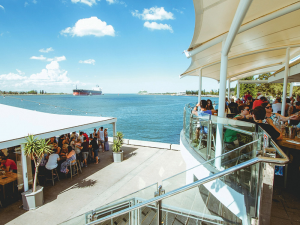 The Queens Wharf Hotel is located at the very centre of Newcastle, with its waterfront location right on Newcastle harbour with views out to Nobbys lighthouse. Join us upstairs in the Skiff Bar and balcony. All welcome – invite your friends and colleagues, including the guys! Book online or click here to download the event flyer/registration form!